“We got a number of questions, all of them with regard to what could be going on, what’s the nature of the stimulus, what was the nature of the damage, was this the only one like this, what other neuroweapons might be available,” says Dr. James Giordano, chief of the Neuroethics Studies Program at the University of Georgetown. Giordano said the Friday telebriefing with the Joint Chiefs discussed the findings of new research on the American victims by him and his colleagues, University of Miami otolaryngologist Dr. Michael Hoffer and University of Pittsburgh otolaryngologist Dr. Carey Balaban. “I think there was some interest in the idea of brain sciences as forming at least one vector to the new battle space that was of concern and of consideration,” Giordano said. All three researchers have previously done extensive work for the Defense Department. Hoffer was one of the first medical specialists selected by the State Department to evaluate the injured diplomats. Defense Secretary James Mattis told Pentagon reporters Tuesday he does “get updated” on the investigation into the alleged attacks, but declined to comment further. A spokesperson for Chairman of the Joint Chiefs of Staff Gen. Joseph Dunford offered no comment on Friday’s briefing when contacted by CBS News. 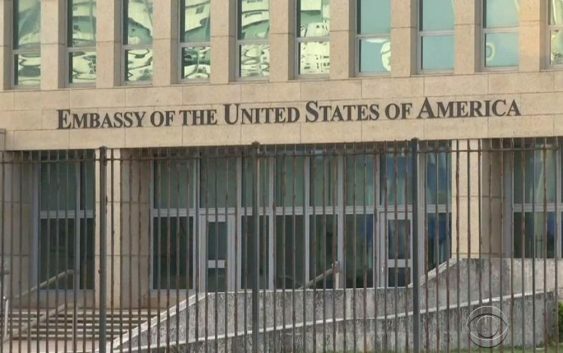 The U.S. has not publicly blamed anyone for the incidents, but says it’s holding Cuba responsible for the safety of its diplomats. It also has made no announcements about the method used to carry out the attacks, but U.S. State Department officials have publicly acknowledged theories including the use of sound waves. Victims have complained about hearing loss, sleeplessness, and cognitive issues. Doctors have found signs of brain concussions—without any evidence of trauma. “The most likely culprit here would be some form of electromagnetic pulse generation and/or hypersonic generation that would then utilize the architecture of the skull to create something of an energetic amplifier or lens to induce a cavitational effect that would then induce the type of pathologic changes that would then induce the constellation of signs and symptoms that we’re seeing in these patients,” Giordano said. According to one high level law enforcement source, the U.S. one suspected culprit for the attacks is the old-guard Cuba intelligence service, aided by Russia. Scientists, doctors, foreign affairs analysts and Cuba experts have all poked holes in every theory proposed or studied, with U.S. investigators coming up short on hard proof of any attack. 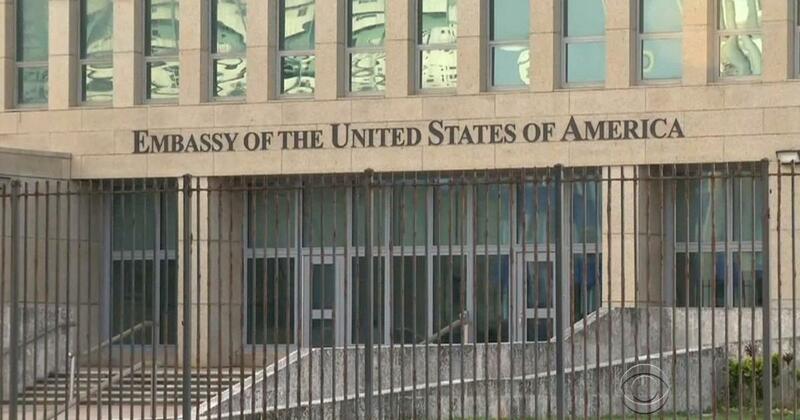 Cuba has used the absence of concrete evidence to reject accusations from the U.S. that the purported attacks even took place, saying the Trump administration made up the incidents to justify a dramatic reversal of what had been warming relations under the Obama administration. A similar case in China was reported in May, where one U.S. embassy officer was confirmed injured. But the State Department has stopped short of calling it an “attack,” as it has for the cases which took place in Cuba.